This is a diamond-shaped Dog ‘n Suds porcelain sign. This particular Dog ‘n Suds sign is predominantly yellow with red text. 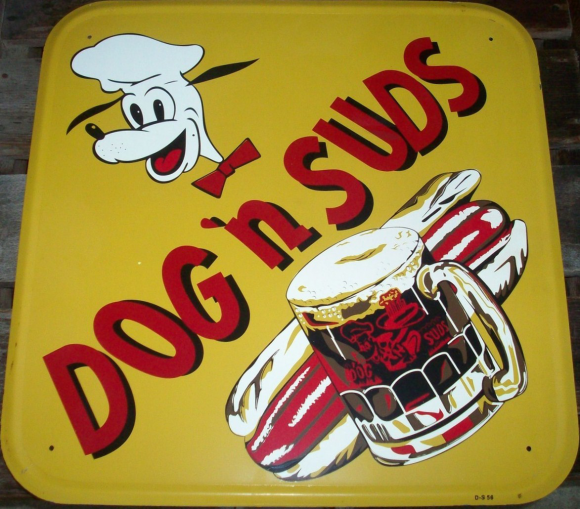 It reads, “Dog ‘n Suds” and features a cartoon dog at the top and a hot dog with a beer at the bottom.